At the height of its glory, Men-nefer (Memphis) was one of the largest cities of the ancient world. Its splendors included massive temples, palaces, and houses, all enclosed by the city’s legendary White Walls. But in Egypt during the reign of Qakare Ibi, in the years ‎2169–2167 BC, the country had been divided into at least three parts. The Old Kingdom had finally come to an end, and a new era of uncertainty had been born. A series of low floods by the great river causes a near famine, leaving the general population to fend for themselves, especially against the greedy nomarchs and their brutal taxation policy. Corruption is rife, and its negative impact is felt throughout all walks of life. This is the story of a young scribe in his search for his Maat. 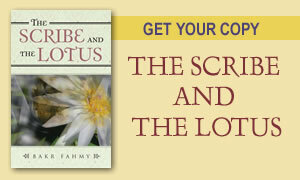 With the spiritual help of the blue lotus, he learns how to deal with the events unfolding all around him. 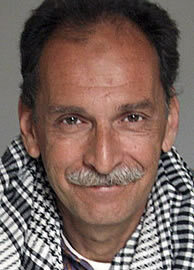 Bakr was born in Giza, Egypt in 1955. In 1962, at a tender young age he moved to Geneva, Switzerland, where he attended primary school. Years later, in 1968, he moved to Vienna, Austria, there completing his schooling successfully. Bakr then returned to his native land and enrolled at the American University in Cairo, where he studied Mass Communication. In 1979 he received his B.A. and embarked on a career in tourism. Bakr speaks four languages: English, German, French and Arabic. For the last thirty years Bakr has been living in Sakkara, Egypt. He now runs a small guest house at the foot of the step pyramid. Bakr is married and has children. 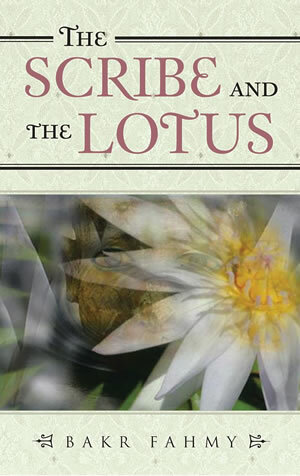 May 'The Scribe and the Lotus' reach and touch countless people, young and old alike... with its message of hope, its profound illustration of faithful commitment to one's highest principles, and its compelling, timeless narrative about the dynamic interplay between darkness and the light. Much love to you, Always, Willy Mathes, Editor.